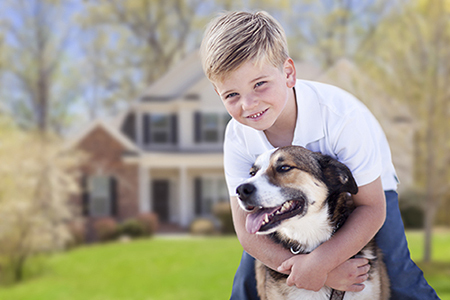 At Animal Control Solutions we focus on providing complete solutions for our customers. Humanley gettig rid of bats from attics and homes safely throughout Columbus areas. Residential Bat Removal is a common service provided throughout Columbus and surrounding areas. It is common for bats to to get into homes and form colonies. The most common places you will find bats in homes are in attics, walls, chimneys, and in vents. The are also know to take up residence under shutters and eves of houses. A bat is able to access a small crack imperfection of a roofline to gain access to an attic. Our bat control experts are trained to adress all types of residential bat problems, no matter how small or large the problem may be we have the knowledge, skills and experience to solve Bat Problems of Columbus! How to get rid of bats is a common question homeowners with bats have. Bats are very beneficial to the environment and should never be harmed, we use humane techniques that never place any stress or harm on the bat. It simply encourages the bat to move to another locations. There are State laws and regulations that must be followed when dealing with bats, this protects the well-being of health bat colonies. Here is a list of steps of a bat removal process. "Protecting Homes and Families against bat infestations"
The first step in having bats removed is an inspection. 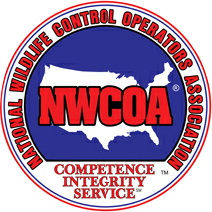 Our wildlife control specialist will perform and inspection of the home. This insepction will determine a few things. It will first determine if there are in facts bats present. Once a bat presence has been confirmed then the inspector will determine how the bats are accessing the home. After is has been determined that there are bats present, a bat survey may be completed to assess how many bats are present. This will determine whether there are just a couple of bats present or a large colony. After the Inspection and survey have been completed the process of removing the bats can begin. A Bat Exclusion is the most humane method to removing bats from attics and other structures. The process of an exclusion allows the bats to relocate naturally without placing any stress or harm on them. Gunao removal is almost enevitable if you have had bats living inside a structure for any given time. 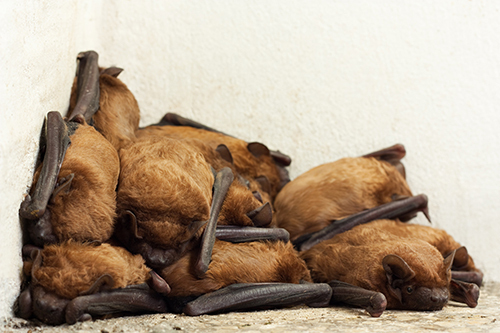 Gauano is the excrement of bats and most often contaminates a homes insulation. Our experts will remove the guano and any contaminated insulatin and disifect the area to kill bat mites and other harmful bacteria. © Copyright 2015-2019. All Rights Reserved Animal Control Solutions, Inc.